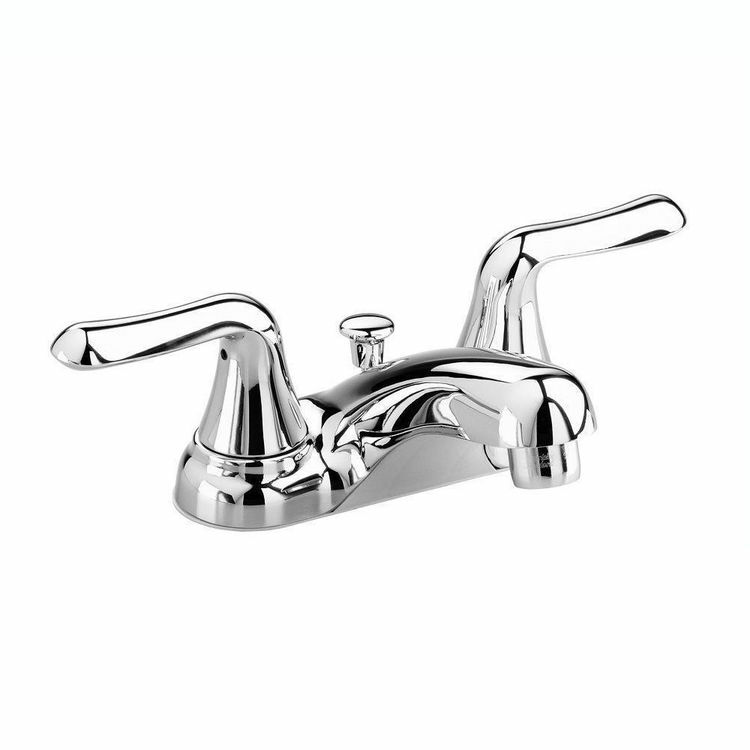 American Standard 2275.500.002 Colony Soft Lavatory Faucet, Polished Chrome. This centerset bathroom faucet features 1/4-turn washerless ceramic disc valve cartridges, a durable cast brass waterway with 1/2" male inlet shanks, and a water conserving 1.5 GPM pressure-compensating aerator. This model comes with a 50/50 pop-up drain. Shipping Dimensions 9.0" x 6.6" x 5.5"